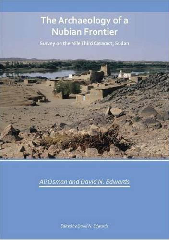 The 'Mahas Survey' is a University of Khartoum project undertaking a regional study of the archaeology and long-term history of the Mahas region of Middle Nubia, northern Sudan. This region (c.145km long), currently inhabited by Mahasi Nubians (speakers of Nobiin Nubian), extends north from around Tombos - Hannik (at the southern end of the Nile Third Cataract) to the area of Jebel Dosha-Wawa, the traditional frontier with their Sikood Nubian neighbours to the north. Field survey has to-date identified some 690 archaeological sites between Tombos and Delgo (c.80km along the river), within the southern half of this region.